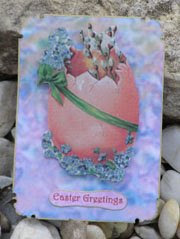 Here is my Easter ATC for Art Pieces. The art is from Dover and the background I created in Photoshop. It is edged in my new favorite--a gold leaf pen from Krylon. Thanks for coming for a look. 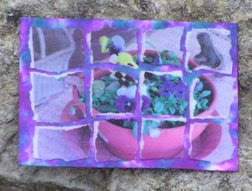 Here is my mosaic ATC. It is a picture I took of my pansies and friend! The background was created with stream and plum Adirondack's Alcohol Inks. Great ATC's Susie!! Love the colors!! This is lovely!! Great colours! Than you for joining the challenge at Art-Pieces! Great ATC's! Love the colours and the images on both! Thanks for joining us at Art Pieces! Beautiful ATC`s. 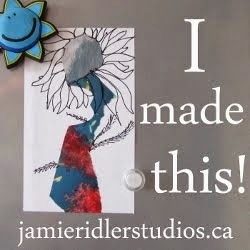 Love the Alcohol Ink background on your mosaic ATC. thanks for visiting my blog. your creations are awesome too!! !